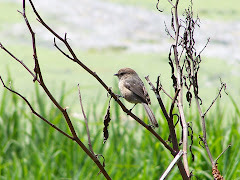 For my blog article on the Birding Hot Spots of Orange County, click the link above. Allen's Hummingbirds and Rufous Hummingbirds: What's the Difference? I really like your blog site. I am just getting into birding, and your site has shown me some interesting places to check out. If you don't mind, I have a suggestion. Could you list some equipment that you use to go birding. For instance, binoculars or photo lens and any other things that you might use. The way that I got turned on to birding is my photography background. Thanks for sharing so much useful info. Thanks for the kind words. I am glad my blog has guided you to some good places to bird. There are so many in Southern California and in Orange County particularly to bird. We are very blessed. I love to bird and love to share it with others. Suggestions are always welcome. I do have one blog on binoculars and will be writing more on equipment. Thanks for the suggestion. And thanks for writing. Have fun birding and taking photos! The combination is awesome. I am looking for a place in OC near Irvine to buy natural birding supplies. Do you have a recommendation for a birding supply store in OC that sells feed and feeders? Address: 17611 Yorba Linda Blvd. Hope that helps. Feeding wild birds is fun and offers some great opportunity to observe birds up close and personal. Remember to put the feeders near some trees or bushes so that the birds have cover to scope out your feeders. They like to make sure it is safe first. And since birds at feeders often attract Cooper's Hawks, you want to have a place for them to hide when the hawks come. Enjoy. I added the link in the Ask the OC Birder Girl link. It won't publish in this comment section for some reason. I came across your blog about the Shipley Nature Center and I was very impressed. As a founder member of the Friends of Shipley Nature Center and a past president it makes me feel good that all of our hard work is being appreciated. Your beautiful pictures and excellent descriptions serve as a wonderful travel log for anyone interested in visiting. If you're ever looking for a volunteer experience please contact us at 714 842-4772 or visit our web site at www.shipleynature.org. Being a nature lover is sometimes calling for trouble, I suppose. I have a weird situation. We have moved into a house recently and have started to feed the birds in our own backyard. Initially only sparrows came to eat the feed and now the "birds relation" has expanded to Blue Jays, Pigeons etc. We love to feed as much as we can, daily. But our neighbour is sour over our bird feeding. I am not sure why someone wants to curb the food for birds. This person is asking us not to feed birds.Is this acceptable? What are my options in this regard, may I know please? Being new to this kind of a situation, I am seeking help from the blogging world. Please advise, at your convenience. This is a question that involves both birding and relationships and possibly law. Birding First--Unless it is against the law, it is socially acceptable to feed the birds in your backyard. It is also fun and relaxing. It feels good. Relationship--However, as they say, my rights end where your nose begins. What is your neighbor's specific concern? Noise? Mess? Pests like insects and rats? Bird poop on his fence and patio? You have just moved into a new home and hope to live there many years I am sure. You want it to be as pleasant as possible. I would listen to his specific complaint and see what you can do to give him what he wants while you get what you want. Listening to your neighbor will go a long way toward building a good future relationship. In other words, you may have the right to feed the birds, but you may find insisting on your full rights could make you and your family's life pretty miserable. So if you are attracting nuisance birds and lots of them, you can try changing or reducing the food you are offering and hopefully, it will change and reduce the birds you attract. Check out a wild bird food site like Kaytee or Duncraft or your local pet food store and see what food you can offer that might change the birds you attract. General wild bird food often attracts a broad range of birds including many that are noisy and downright annoying to neighbors. You may want to narrow the type of birds you attract by picking another blend of wild bird food. If all else fails, few people complain about hummingbirds. If you have them in your area, you might try feeding them. Another alternative that usually helps is to landscape your yard to attract the birds you want. This usually has less of a nuisance impact on neighbors and you get to see birds in your backyard. Having a watersource like a birdbath helps to attract birds, too. In law, I defer to lawyers and the local government. I would check local ordinances and see if it is legal in your area to feed the birds on your own property. In a few areas it is not. If you belong to a homeowners association, you might check with them about the rules for you association. Above all, consider your enjoyment of your home and your family before you decide what to do. Few things increase stress like feuding with a neighbor. I have just started up a blog of my own, http://natureinorangecounty.blogspot.com/ . Could I add your blog to my list of important links? Yes, you may post a link to this blog on your blog. Blogging about nature is always fun. Good luck and enjoy blogging about the OC. Your site is great. I looked all over the web for a photo of the California Coot. We have them at the lake at Fairmont Park in Riverside Ca. and I never seen feet like that. Thanks. Glad you like the site. I think coots are cool birds. Glad the Coot Blog gave you some info on this very different bird. You have a wonderful birding website! Wow,this is a great site. I have a few questions for you. I want to photograph Western Blue Birds and it looks like Mason Park is a good spot to view/photography blue birds. Do they have blur bird trails with some blue bird boxes? What about chances of seeing them in Oct. and Nov. ? If not, then I want to capture a Cooper's Hawk image and that's probably at a different location. I live in Palm Springs so I just want to make sure if I can see/photograph the blue birds there. Mason Regional Park is the best place to photograph bluebirds that I know. Huntington Central Park also has bluebirds, but I have had a more difficult time with lighting and focus there. Both of those parks have Bluebird nesting boxes. 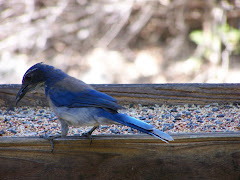 The Southern California Bluebird Club at http://www.socalbluebirds.org/ is a good source. Another one is an article on Sea and Sage Audubon http://www.seaandsageaudubon.org/BirdInfo/birdinfobluebirdnestbox.htm There are quite a few parks that have Bluebird Boxes: Mason Regional Park, Craig Regional Park, Mile Square Park, and Huntington Central Park to name a few. 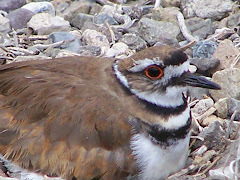 Nesting season is March through July. Although, some range maps show them here year round, spring and summer are the best months for me. As to Cooper's Hawks, the best place to find them is in places with trees and other birds like Huntington Central Park, Oak Canyon Nature Center, and El Dorado Nature Center in Long Beach. But with birds, you can find them many places or go out to a place you should see them, and nothing is there. This time of year water birds are here migrating and wintering over. So Bolsa Chica, Upper Newport Bay, Huntington Central Park near the lake, or any park with a lake. Also San Joaquin Wildlife Sanctuary. Good luck with your birding and photography! Thanks for your comment, Hide. Glad you like the blog. I enjoy doing it. Thank you. Glad you like the site. The bird you are describing sounds like an Osprey. They eat fish and are usually near water. Check out my post on Ospreys and see if this is the bird. Thanks again for commenting! I live on the edge of the San Elijo Lagoon in Solana Beach. CA. We have a problem with dogs being allowed in our "Ecological Reserve." Even though they are supposed to be on a leash at all times, the majority of dog owners let their dogs off the leash and thus many of them end up chasing birds, or jumping into the lagoon for a swim, scarring away bird life. Do you have any information on how "Dogs" being allowed into a sensitive wetland affect the bird and wildlife populations? Pet Owners today are very attached to their pets which makes this a difficult subject for them to discuss. For some, it is like being told their children are ugly. I can understand that. I have two cats I dearly love. However, I would never bring them with me to a wildlife area. They are predators. For their own sake and the sake of wildlife, I keep my cats indoors. When the subject is brought up, many dog owners often go ballistic attacking expert opinion and saying cats are worse and kill more wildlife. And while that is true I am sure, the subject is "Should pets be brought into sensitive wildlife areas or restricted from those sensitive areas?" Obviously pets should not be brought into wildlife areas set aside for the benefit of wildlife for at least two reasons: 1) They will upset the balance of the natural wildlife if released accidentally or on purpose whether they be turtles, fish, rabbits, hamsters, cats or dogs, and 2) Most companion animals brought into places to walk them are predator species--i.e. dogs. Although I have seen people with cats on leash both in the Huntington Central Park and oddly enough at Bolsa Chica Ecological Preserve. The presence of a predator always is disruptive. People bringing dogs or cats on or off leash increase the disruption in a sensitive wildlife area. It increases the presence of predator species way beyond what is normal. It causes a more constant state of upset in the animals in the preserve in my opinion. This is a British study and the references list other studies as well. The fact is that although our very presence can impact wildlife, there are things we can do to minimize the impact. We can come alone without domestic animals when we go to fragile wildlife areas. We can walk and not run through wildlife areas. (I am on the conservative type, I do not believe we should jog through wildlife preserves--it is disruptive.) We should not bicycle through wildlife areas. There are studies on human activity in wildlife areas that suggests many of our recreational activities including dog walking are harmful. The problem is that people want to do what they want to do whether it is biking through the Bolsa Chica Ecological Preserve past all the signs that prohibit it, or let their dogs romp in the waterways even during nesting season or jogging past nesting areas. (My personal jogging beef is the insensitive joggers who thunder across the Bolsa Chica Ecological Reserve bridge shaking it and frightening all the wildlife because other people on the bridge and wildlife nearby mean nothing to them. The park would be a better match for them. But I digress.) People do these things because there are no consequences. If there were a fine posted for letting your dog off leash and people actually were cited, they would drive to the park to walk their dog. In Bolsa Chica where dogs are prohibited, there is limited enforcement, but it is there. There is the chance of having to pay a fine. I would say until consequences occur, you will continue to experience problems in San Elijo Lagoon in Solana Beach. Those who manage San Elijo must enforce ordinances and rules or no one will take them seriously. I came across it through the power of google news alerts. Thank you, Beth. Glad you like the blog. I love doing it. I recently received a request to email someone for information on a wetlands event. I only post events which have a recognized organization with a website I can look at and assess for appropriateness. Unfortunately when I looked up the sparse information included, I found nothing on the web. I did not recognize the organization. I do not email individuals, but will be happy to link to any appropriate organization that I can verify. I reserve the right to decline to post any information. 1) Who and what type of organization is actually sponsoring the event. 2) The purpose of the event. 3) The nature of the event. 4) Be able to look at an established website of an established organization and see information about the event. 5) It must be related to birding and birds in Orange County or nearby. Then I could consider if that event is appropriate for my blog and determine if it is something I feel comfortable promoting. Without that basic information, I regret that I cannot even evaluate the appropriateness of publishing an event or the appropriateness of encouraging people to attend. If anyone is interested, I saw a Black-crowned Night Heron making home at Laguna Lake in Fullerton, even accepting small fish tossed to him by a couple fishermen.. I am not sure if there is anyone I can talk to about this but I figure this might be a good place to start. I have lived in Midway City for about 15 years. We have lots of wildlife here even though we're in the middle of nothing but city...(Huntington Beach & Westminster, CA.) Possums & raccoons are common and so are owls and, I believe, Cooper's Hawks...at least where I am. I am very concerned for the birds because there is a County project coming up that is going to require the removal of (to the best of my knowledge) many of the old growth parkway trees! My two 50-60 yr old Sycamores included. I know I USED to have a nest at the top of one of my trees that, during some trimming in the past, the remains of were removed. I don't believe it had been used too recently but since I don't know much about those things, I don't know if that was a bad thing or not. I was assured that it was OK to do so. Anyhow, I'm sorry this is so long but I don't know if there is anything that can be done (I doubt it but I can hope) and who to go to. If you have any ideas, they would be greatly appreciated. "I am very concerned for the birds because there is a County project coming up that is going to require the removal of (to the best of my knowledge) many of the old growth parkway trees! My two 50-60 yr old Sycamores included." To answer this first. I would urge you to find out first what the project is and who is doing it. You might start with the County of Orange since Midway City as far as I know is unincorporated and governed by the county. Contact them as ask them about the project and express your concerns. If after speaking with the parties involved in the projecr, you feel there is cause for concern and you have not been heard, I would urge you to contact Sea and Sage Audubon. Or contact them first if you prefer. The Sierra Club might be another good organization to contact. Also the California Native Plant Society since chances are this is a California Sycamore. hi there, im new to oc and to " birding" and im looking for a place to go to connect with nature , birds and wildlife.... any recommendations are appreciated! I recently got some great shots of the Wood Ducks and the Mandarin Ducks at Irvine Regional Park. I have one photo that I can't identify. I'd like to email you the picture for your input. What email address can I send the photo to? Shelby, check out my birding hotspots. You will see a lot of places to bird, but I would also strongly suggest joining Sea and Sage Audubon. They have lots of opportunities to learn, field trips, lectures, activities. You won't find a better group in the OC for birding in general. Paul, you can put it up on Flicker or something like that and I will look at the link. The other common duck at Irvine Regional Park lake is the Ring-billed Duck. Check my post for photos http://ocbirderca.blogspot.com/2009/03/irvine-regional-park-on-friday.html or this post http://ocbirderca.blogspot.com/2009/02/birding-at-irvine-regional-park.html and you may see your bird. I just found your site and have enjoyed it. I am just now starting a blog about backyard birding. (I'm a beginner here in Yorba Linda) May I link your site to mine in the future. I am Yorba Linda backyard birders. Thank you for so many of the birding locations to visit. Thank you for your comment. I do enjoy blogging. Lately it has been a challenge and I am a bit behind. Good luck with your blog. I will have to check it out. Feel free to put a link up to my blog. Glad you like the links. Thanks again, Olivia. I was wondering if there is a good local store that carries a good variety of binoculars and spotting scopes to try? I have seen some good reviews on the alpens and would love to try them. However, I don't know if I should save my money for the more expensive Zeiss or Leicas as those are currently not in my price range? Pretty interesting site you've got here. Thanx for it. I like such topics and everything connected to them. I would like to read a bit more on that blog soon. Rather interesting blog you've got here. Thanks for it. I like such topics and everything that is connected to them. I definitely want to read a bit more on that blog soon. My son has photographed a bird in Newport Beach that we cannot identify. It looks like a duck or goose but it is not in Birds of OC book or the North American Birds book. Can I send the photo to some one to identify? I would suggest that you check these three posts. If neither of these show you the bird you are looking for, you can post and Flicker or something similar and send me the link. I will take a look at it and tell you what I think. Here are the links--Wild Ducks-- http://ocbirderca.blogspot.com/2007/12/wild-ducks-of-orange-county.html and Odd Ducks http://ocbirderca.blogspot.com/2007/12/odd-ducks.html and Wood Duck or Mandarin Duck is another post that might help http://ocbirderca.blogspot.com/2007/10/wood-duck-or-mandarin-duck.html. An outside link that may be of help is from Cornell University's Lab of Ornithology's All About Birds. In their bird guide, you can check for birds by name and shape. For this great resource, click here http://www.allaboutbirds.org/guide/search.aspx. Is there anything we can do to protect a tree that a horned owl is in in Pacific Palisades? The house has just been demolished and they are getting ready to take down the trees. The owls have been in these trees for years and lasy night we heard one still hanging around even though jack hammering has been going on non-stopped for days. The Migratory Bird Office of the US Fish and Wildlife Service is located at the Pacific Southwest Regional Office in Sacramento, Calif. I also would suggest you contact your local Audubon Society. The Santa Monica Bay Audubon Society covers Pacific Palisades and might have some experience with the area and some suggestions. Here is the link. http://smbas.atspace.com/ I don't know if you can do more than slow the process down, but I hope it at least gives you some options. The owl may well relocate regardless of what occurs since the habitat is changing so much. Good luck and I hope there is an answer for you and your owl. Let me know what happens. I have a question??? I cannot remember ever hearing birds tweeting all night long!!! Seriously it's like from Midnight to all day. They quite some about mid day, but then start up again at midnight. I think I'm going to loose my mind!! Don't get me wrong the birds are magical to watch in the fountain during the day, but I'm at my wits end. IT's been a week of sleepless nights, and earplugs cannot be worn else I'll sleep through the alarm clock. 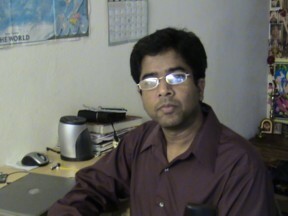 I am relocating from (East Coast 2006, India, Cameroun, China, Canada before that) Oakland, going to San Fernando Valley area and really happy to have found your blog. You will be at the top of my list as I get used to my beautiful new area. I really enjoy your blog and videos. I'm starting to bird in my backyard at yorbalindabackyardbirders.blogspot.com. Please stop by. I'm new at this so please bear with me. Your pictures and information are very informative and you've done such a good job. Please stop by at my blog and drop a line. Thank you for sharing. My name if Olivia and I absolutely enjoy your blog. It is very educational and so informative.I'm just starting a simple backyard birding blog at yorbalindabirds.blogspot.com. May I connect your link to my blog? Well I actually already have it on there but wanted to ask you first before I continue. I'm just sharing my backyard birding experiences. It's so much fun. Olivia, thank you for your kind words. Of course, you may link to my blog. You have made a good start. I love the Western Bluebird pictures! Good luck and happy blogging. Yorba Linda is a beautiful place to bird. I am about to take a group of ten year old scouts around Ballona and the Marina in Marina Del Rey. Any good tips for a simple bird ID guide I can get for them. I am looking for something like 25 most common birds they might see. Much more than that and I think the detail will drown them. Any ideas ? Darryl, I think rather than a guide, a card with the shore birds would be a good choice. Mac's Field Guide To California Coastal Birds has a wall chart. Or you may want to print a few off the website. You are likely to see Great Blue Herons, Snowy Egrets, Great Egrets, Black-crowned Night Herons, Ring-billed Gulls, Osprey, American Avocets, Black-necked Stilts, Marbles Godwits, Willets, Northern Shovelers, Mallards, Cinnamon Teals, Northern Pintails, Green-winged Teals, American Wigeons, American Coots, Turkey Vultures, Double-crested Cormorants, Pied-billed Grebes, Eared Grebes, Western Grebes, Forster's Terns, Ruddy Ducks,Brown Pelicans, White Pelicans, Killdeer, Black Phoebes, Common Yellowthroats, and much more. Sometimes local nature centers sell the cards or you can get them on Amazon. Locally, here in Orange County, you can buy them at San Joaquin Wildlife Sanctuary, and sometimes at the nature center in Bolsa Chica. Wild Birds Unlimited in Torrance may have cards or small guides. Here is their website http://torrance.wbu.com/ Always call first to see if they have small guides or cars. Good luck and have a wonderful time with the kids. 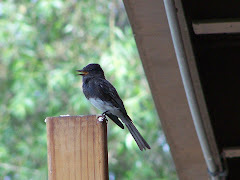 I just found your blog and thought I’d let you know about the bird lover’s hotel of Morro Bay. We recently redesigned our hotel so that our hallways are lined with Audubon prints, our rooms include trail maps and info on local birds, and our lobby features giant bird books. We also have a few pairs of binoculars that guests can borrow. And if you don’t already have plans, Come on down for the Annual Morro Bay Winter Bird Festival. It’s happening next weekend. I just spent 2 hours trying to identify a duck that was on my pool this morning. Your site has the only pictures of a female wood duck, so the mystery is solved. Many mallards have stopped to rest and feed here over the years but I never saw the wood duck before. Glad my blog was helpfulin identifying the female wood duck. Ducks can be challenging. Thank you for stopping by, John. 'll be visiting in Laguna Hills Aug. 23-30. Don't think I'll have a car; would love to join other birders/bird walks, don't see any Sea & Sage listed for that time. Would also love any pelagic excursions. Might you be able to suggest contacts? And locales not far from Laguna Hills? Yael, thanks so much for visiting. Always love to hear from New Yorkers. My family is from New York. 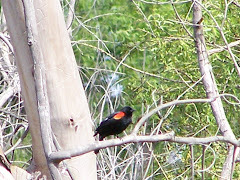 There are many great birding places near Laguna Hills. 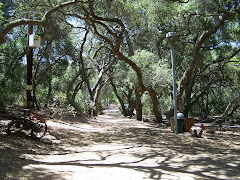 Here is a great link for areas near Laguna Hills http://www.lagunacanyon.org/parks.html Crystal Cove is a great area with a mix of hills and back country trails and great shore areas to bird. Check out their calendar for activities. http://www.crystalcovestatepark.com/ Here is another link http://www.ocparks.com/lagunacoast/ And another http://www.ocparks.com/lagunaniguelpark/ Here is a more ocean based site http://www.ocean-institute.org/programs/index.html and another http://www.lagunabeach.com/activity.html and http://www.balboapavilion.com/ One more http://en.wikipedia.org/wiki/Newport_Pier There is a Laguna Hills Audubon Society Serving Here is the site http://www.lagunawoodsvillage.com/article.cfm?id=864 The site lists contacts Len Gardner (581-6940) or John Andes (206-9659) for more information. Happy birding. Let us know how your trip turns out. How do I bird with camera without appearing creepy or stalkerish? I am serious. "is there any way I can get at least 2 hummingbirds from you for a release at my sisters funeral for her daughters.. that is her absolute favorite.."
Danielle, first of all, I am very sorry for your loss. However, I do not have hummingbirds in my possession as I am not a licensed wildlife rehabilitator. Even if I were, I would not be allowed to keep them as pets or to release them at any occasion. Hummingbirds are protected by federal law and cannot be used in that way. Again, I am so very sorry for your loss, and I hope that you do find another meaningful way to honor your sister's memory. I will be visiting Irvine in early April next year. Would the Wood Ducks be still present at Irvine Regional Park? Is there a good location in OC that I can find the Yellow-billed Magpie. Mountain Man, Wood Ducks are present year round in Orange County, and do nest here. They can be seen at several of our Regional Parks including Irvine Regional Park,Craig Regional Park, and Yorba Regional Park. They also occasionally show up at San Joaquin Wildlife Sanctuary, and other locations in Orange County. On the other hand, the Yellow-billed Magpie is very, very rare in Orange County with only one sighting back in 2006. If you want to take a day trip or overnight trip to Santa Barbara County, you can see Yellow-billed Magpies in Santa Barbara County check out this link http://ca-ccbt.info/birds/ybma.htm It is fairly common there all year. I hope that helps. Enjoy your visit to Orange County, CA. Thanks for stopping by. I'm travelling about once a month to Irvine for work. I can't stay weekends, but I do have time in the early AM and evening to do some birding. Any recommendations on locations I can easily bird during those times? I stay at the Wyndham near the Santa Ana airport or at the Marriott in Foot Hill Ranch. I am mostly hoping to see western specialties. Thanks for your help. Any clues as to the identity would be helpful. I've checked the Audubon site and several other duck-specific resources, no one seems to know. Symon, it is a male Mandarin Duck. Looks like he is banded. Check my post on Mandarin Ducks. http://ocbirderca.blogspot.com/2010/04/mandarin-duck.html Mandarin Ducks are native to Asia, but are escapees in the United States. They are relatives of our native Wood Ducks and sometimes can be seen hanging out together. Both are perching ducks. The females look very similar. Hope that helps. Thanks for stopping by. We have a Cooper's Hawk stuck in our building in Santa Ana. Santa Ana Police/Animal Services came out and said there is nothing they can do. He has been in here for two days. He continues to try to fly thru glass windows that do not open. I have opened all the doors to our two story building but he will not go towards them. Is there anyone out there that can help? D.C., I suggest you contact the The Orange County Bird of Prey Center at (949) 837-0786. They may be able to help you. Let us know how things work out with the your Cooper's Hawk. I've watched a single Ferruginous hawk in a populated area of (upper) Orange County for months. Is their a specific person at Audubon in Orco that I can notify? What would they do? I'm concerned about it not being disturbed. Karen: Just moved back (after 10 years on never-a-quiet-moment Golden Lantern, Dana Point) to a serenely tranquil apartment complex in Lake Forest. Serrano Creek ravine and its lengthy parkland across the road (where I lived before); acres of undeveloped land alongside the apartments on this side. Delighted to spot a Cooper's Hawk (I believe) three times in the last few days. First time was a flash of striped grey zooming into the trees. Spotted twice since in same vicinity. Anything I can do to keep it around? There is not a lot you can do. The environment seems to be a fit for the Cooper's Hawk for now. The only thing to remember is that they do not like to be disturbed when nesting and will bomb dive intruders on occasion. So if they nest, keep a respectable distance to avoid disturbing them, and having to run for cover. Thanks for stopping by. Hope the Cooper's Hawk sticks around for a long time. or (714) 964-0666. Good luck. We have, about 1000 or more, geese that fly over our home in Chino Hills. They leave the area every morning and return every evening. We are new to the area and are extremely curious about what type of geese these are? And where do they go every morning, and where do they come back to every night? I'm really hoping you can give us some insight? Thanks for stopping by, Penni. My guess would be Canada Geese. Usually they head out for the golf courses, parks, and any other grass covered area which also has a lake. While we do have other types of geese including domestic and exotic species, the huge groups of geese are usually the black-and-white Canada Geese. Thank you for your question. I'm not an experienced birder but I think I've been seeing a lot of the western bluebirds in Corona del Mar at Bayside Drive Park. They always seem to be out and about around noon.